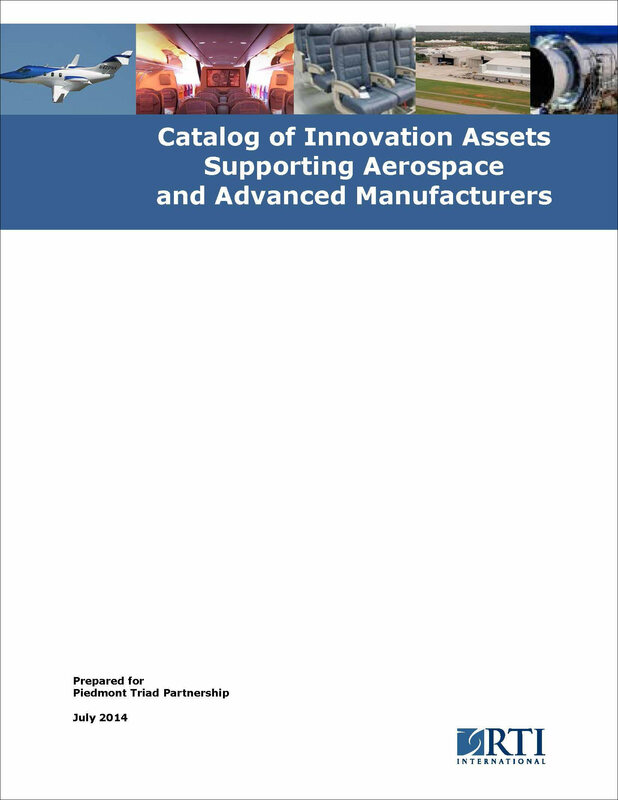 The North Carolina Aerospace Initiative has published a new document titled, “Catalog of Innovation Assets Supporting Aerospace and Advanced Manufacturers,” focusing on the Piedmont Triad Region. JSNN: NanoBio Launchpad, Gateway Materials Testing Center, and NanoManufacturing Innovation Consortium. A&T: College of Engineering, Center for Human Machine Studies, Center for Advanced Materials and Smart Structures, Center for Composite Materials Research, NSF Engineering Research Center for Revolutionizing Metallic Biomaterials, the Transportation Institute , Center for Autonomous Control and Information Technology, Center for Advanced Studies in Identity Sciences, Center for Aviation Safety, Center for Cyber Defense, Waste Management Institute, Center for Energy Research and Technology (CERT), NSF CREST Bioenergy Center, NOAA Interdisciplinary Scientific Environmental Technology Cooperative Science Center, International Trade Center, Interdisciplinary Center for Entrepreneurship and E-Business, and the FAA Center for Excellence for General Aviation. The report was prepared by RTI International for the Piedmont Triad Partnership. 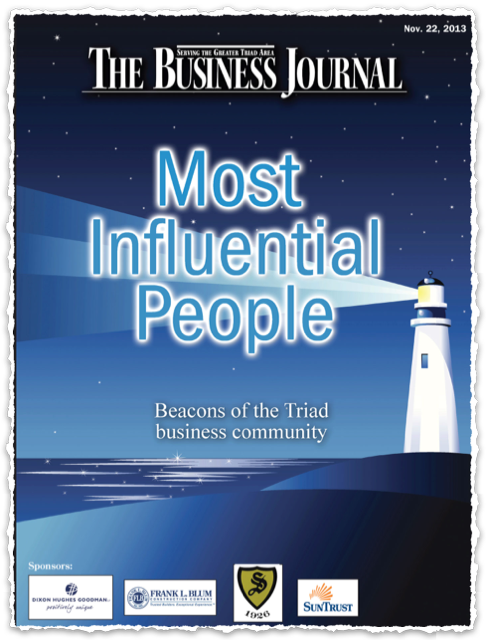 Chancellor Harold L. Martin, Sr., and Dr. Jagannathan Sankar are among the Piedmont Triad leaders named to the “Most Influential People” list by The Business Journal of the Triad. Martin was cited for his “ambitious agenda” to increase the university’s enrollment, research and engagement. Sankar earned his place on the list by virtue of the technology commercialization work recently initiated by the NSF Engineering Research Center for Revolutionizing Metallic Biomaterials, of which he is director. Dean Jim Ryan of the Joint School of Nanoscience and Nanoengineering.